Gather your Easter baskets and join the Scottsdale Resort at McCormick Ranch for a memorable Easter brunch on Sunday, April 1 from 10 a.m. to 3 p.m.
From an omelete and crep station, salad bar, carving station and more, the AAA Four Diamond resort will have something to satisfy every taste, craving and dietary need. Enjoy fresh sliced fruit, classic breakfast pastries and an assortment of artisan breads to start before savoring rich Belgian waffles topped with juicy strawberries and dollop of rich whipped cream drizzled with 100% maple syrup. Make your own omelete at the Omelete Station, choosing among tomatoes, spinach, cheese, bacon, ham, onions, peppers and mushrooms to add to your farm fresh eggs. Head over to the Salad Bar to sample international cheeses, grilled vegetable antipasto, deviled eggs and assorted salad varieties. Indulge in a jumbo shrimp cocktail or handmade sushi at the Raw Bar, while the Carving Station features drool-worthy herb roasted leg of lamb with a mint glaz, prime rib au jus with horseradish, and a sugar mustard glazed ham in a sweet pineapple sauce. Kids can enjoy their own special area at the Kids Corner, with fun, kid-friendly favorites like chicken fingers, mac ‘n cheese, orange chicken and Asian style rice. Be sure to save room for dessert, including freshly baked cakes, tortes, and pies, chocolate truffles, dark and white chocolate dipped strawberries, and more. To dine, adults are $68 each, while children 5 to 12 years old are $34 each, and children under 5 years old are complimentary. Click here to view the full Easter Brunch menu. To make a reservation, please call 800-540-0727. 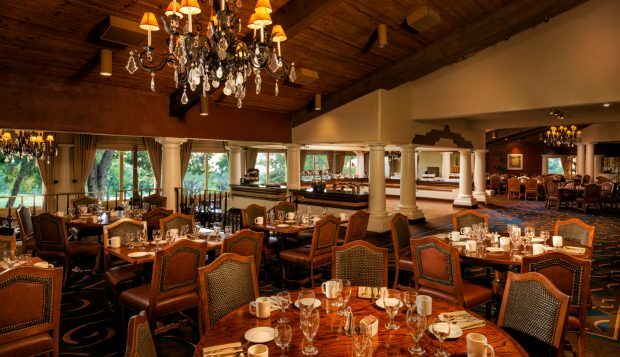 For more information on dining at The Scottsdale Resort at McCormick Ranch, please click here. The Scottsdale Resort at McCormick Ranch is located at 7700 E McCormick Pkwy Scottsdale, AZ 85258.